The suppliers of an innovative smart home switch solution will launch a Kickstarter campaign on 6 December, giving investors and consumers a chance to benefit from the exciting new technology. Yoswit’s latest home gadget is the next step in remote home technology. The switch was designed to fit seamlessly into homes without the usual associated hassle of replacing traditional wall switches with smart tech, and is compatible with both 2-wire (without neutral wire) and 3-wire (with neutral wire) set ups. 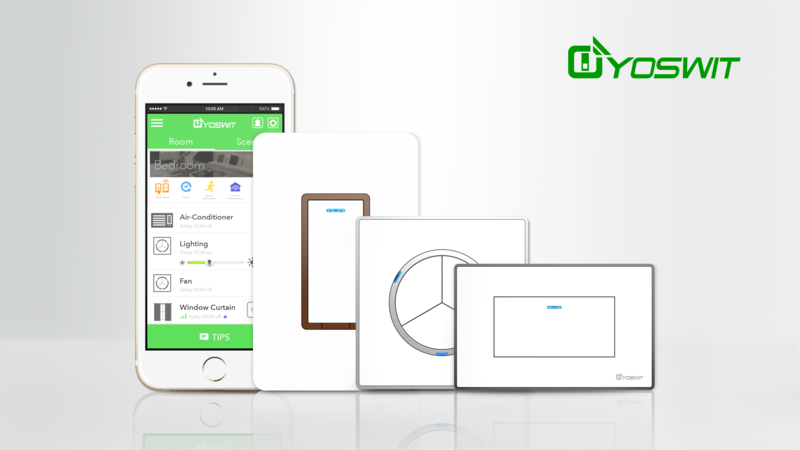 The Yoswit Wall Switch series is the easy, simple way to change lights and appliances, enabling them to be remote controlled via Bluetooth 4.2 technology directly through an app. The Yoswit offering stands out from other alternatives thanks to its patent-pending design, meaning that their light switches are compatible with both 2-wire and 3-wire arrangements. Unlike other smart switches currently available on the market, the design means it can be installed with or without a neutral wire, so it can be integrated into any home. In addition, the switches don’t require an extra hub or router to access all the features whether users are at home or away and its unique mesh network ensures reliability. The Kickstarter campaign offers the homeowners a chance to be part of the smart home revolution and change how we control energy consumption. Those supporting the investment round will become the first to get their hands on Yoswit light switches and experience the benefits first hand. Following a successful campaign, Yoswit will take its pioneering design to mass production. There are a plethora of options for investors to suit all budgets, each with incredible rewards that go on top of becoming ingrained into the Yoswit’s progressive vision of the future. Pledges start at just $10, at which investors will receive a Christmas card and exclusive product updates. For those that are eager to install the latest tech in their home, they can take advantage of an early bird offer, where those investing $39 or more will receive a thankyou gift of an on/off switch, door lock switch or multiway switch in any of the 23 available colours, worth $54.90. Higher pledges of $525 will receive a Big Home Kit containing 12 switches and pledges upwards of $19,999 receive partner status in addition to a mass of products. The Kickstarter campaign will go live on 6thDec 2016. 9:00am, GMT: -8 (US, California). Investors can get early bird benefits by subscribing to the Yoswit newsletter. Those sharing the Kickstarter campaign page will go into a prize draw, with referral bonuses also on offer.